The zirconia framework is a great option if you are wanting a metal free product but still desire to have hand stacked porcelain. The zirconia framework has a substructure cad cam designed and milled in house. 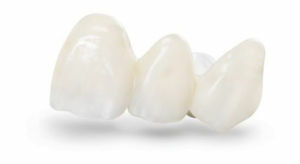 We sinter the substructure overnight to achieve the strength needed for zirconia. The zirconia framework then goes to one of our team members to hand stack porcelain and characterization to match your prescription for your patient.